Scott Montgomery, Candidate for the Republican Nomination for Clerk Circuit Court. Your Support Most Earnestly Solicited. 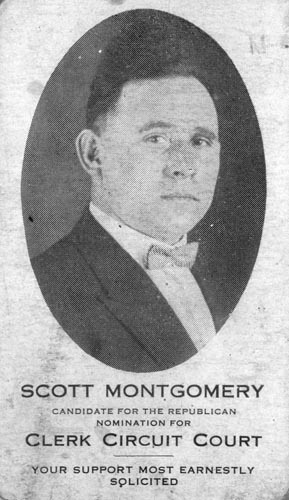 Are you looking for MONTGOMERY ancestors? If so, we suggest posting a query to our Community Message Board to get assistance from other researchers.